What Happens Without Professional Cleaning Services? The recent government shutdown has shown the uninspiring and extremely problematic issue with public facing or private services that lack the necessary custodial services to maintain the health and performance of any facility. What Happens When There is no one to Clean? Politics aside, the lack of funding which paid the wages of the custodians in California’s national park system has demonstrated the impact of the absence of critical cleaning and janitorial services for any facility—be that schools, businesses, or public services. The popularity of the national park system in California translates into high volumes of traffic to the restrooms, which has resulted in a near catastrophic buildup of garbage and human feces, leading to unsafe conditions, ultimately resulting in the closure of several popular areas at multiple parks. Trash receptacles are overflowing, resulting in litter dispersal throughout the area and a threat to wildlife. The parks are being forced to take this action for health and safety concerns. We’re afraid that we’re going to start seeing significant damage to the natural resources in parks and potentially to historic and other cultural artifacts. One of the key takeaways from this reported decline is that all of this transpired during the span of less than two short weeks. The disturbing behavior combined with the closure of several areas of multiple parks due to unsanitary conditions has directly impacted several local businesses, who have been hit monetarily, but have simultaneously stepped up to provide what care and fill what gaps they can in the absence of the professional custodial staff. […] business owners around Joshua Tree had stepped into the gap as much as possible, hauling trailers into the park to empty overflowing trash bins and sweeping and stocking restrooms that were still open. The whole community has come together. Everyone loves the park. And there's a lot of businesses that actually need the park. If this ongoing tragedy has taught us anything, it is that high-traffic facilities require regular care from professionally trained and equipped custodial teams to maintain their safe and problem-free operation. Increases in traffic place additional demands on the services offered by the facilities and, as we have seen, require an uptick in the care for those services. 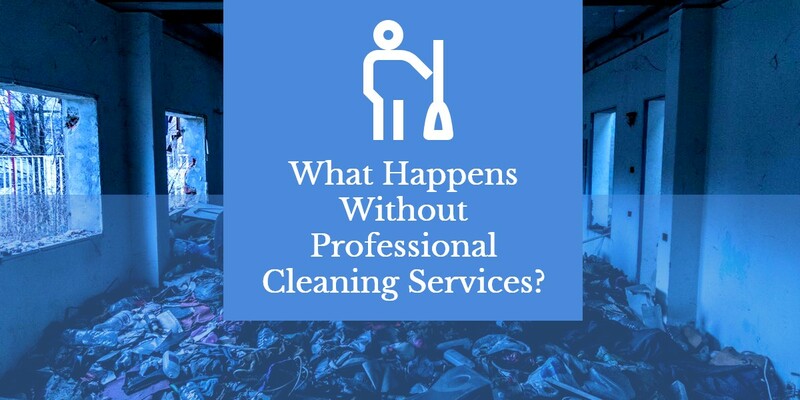 While this sad tale is representative of an extreme case scenario, the reportedly, nearly half of U.S. businesses which do not provide regular cleaning services for their facilities should take note—failure to provide a, even nominal level of care for your business and its occupants can have a tremendous impact on your operations and financial bottom line. A clean, safe, healthy facility translates directly into high levels of productivity and customer satisfaction, ultimately resulting in increased profits. Low-quality output and service delivery. Expensive training and equipment maintenance costs. Establish high standards of cleanliness with well-documented procedures. Incentivize custodial staff to reduce costly employee churn. The negative impact of the absence of regular professional cleaning services is demonstrable and profound. In two weeks, the negligence and destructive behavior of park visitors, partnered with the reality that there is no one to clean up after them, has led to closures across the state—negatively impacting local businesses and threatening national monuments which have stood for hundreds, if not thousands of years. If you would like to learn more about the necessity of routine, ongoing cleaning services, or the health, safety, and performance advantages of outsourced janitorial services--contact us today for a free quote!